Beginning with a freshly washed face, the first step would be to apply primer to help even out the skin surface. 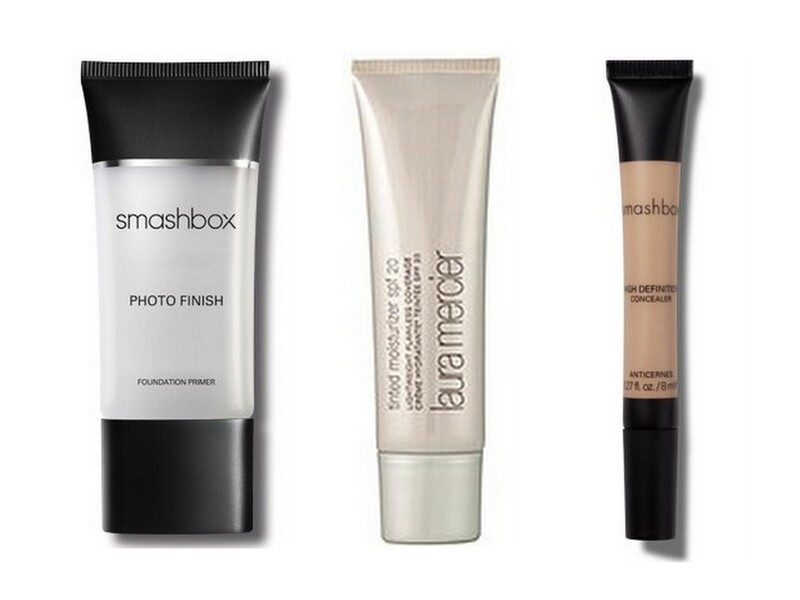 I already had Smashbox Photo Finish in my collection, so we would use that. Next, Jenn would need a good liquid foundation. She had recently received a gift certificate to Nordstrom, so I did my best to recommend products that she could pick up there. Jenn decided on a Laura Mercier Tinted Moisturizer. As an active outdoorswoman, this was a good choice for Jenn (has SPF20) that she’ll get plenty of life out of beyond the wedding. After foundation is concealer. As I’ve said before, this is an important make-up product that not only will cover dark circles but brighten your whole face. Jenn purchased the Smashbox High Definition Concealer. Since the emphasis of her make-up look would be the eyes, there would need to be careful consideration on color palette for these items. Jenn had expressed concern of her eyeliner looking too dark or harsh, so I advised her to buy a waterproof pencil liner in charcoal. That way the color would still show up without being too dark, and a pencil would be smudge-able. Jenn purchased Make Up For Ever Aqua Eyes liner. For eyebrows, I’d fill in with brown eyebrow powder with an angled brush. And I advised her to invest in a waterproof mascara. 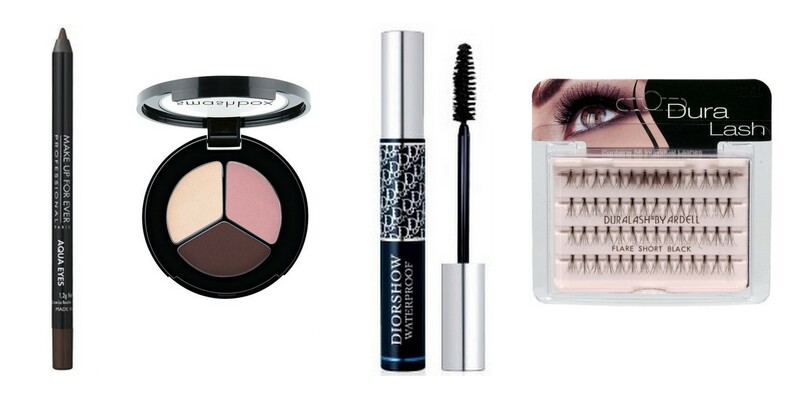 With my recommendation, Jenn bought Dior Diorshow Waterproof Mascara in black. I would bring individual false eyelashes for a little extra oomph. For a subtle overall shimmer that would look great in photos, I would bring my LORAC TANtalizer Baked Bronzer. For cheeks, I would use Benefit CORALista blush for a pretty peach color to her cheeks. And lastly, so that Jenn would have that dewy, fresh look in photos, I would use my new favorite bargain find, e.l.f. Shimmering Facial Whip. To set the whole look, I brought my Bare Escentuals Mineral Veil Finishing Powder. To go with the warm, blushing bride look, I told Jenn to buy a lipstick that was dark enough to show up on her lips and to not buy a sheer color. And she would need a matching lip liner. Well, she ended up with a NARS sheer lipstick in Barbarella. More on how that turned out in the next post. NEXT (AND FINAL) STEP: The Big Day! Loving the produce details. You did such a great job! Just want to say to the the beautypendence followers out there that I am a Laura Mercier tinted moisturizer convert. LOVE IT. Been using it daily since Jenn recommended I buy it for the wedding. You’re so smart Texas Jenn! Can’t wait to show everyone how gorgeous you looked in the next and final post, Oregon Jenn!